At the present the Gilbert & Bennett Factory Renovation project is on hold. Georgetown Land Development Co. currently owns the old Gilbert & Bennett wire mill property in Georgetown. Georgetown is located in the middle of affluent Fairfield County, Connecticut, which is the wealthiest state in the United States based on per capital income. Moreover, Fairfield County includes 9 out of 10 of the wealthiest towns in the state including Darien, Greenwich, New Canaan, Weston and Westport. The demographic strength of this market generates some of the highest office and retail rental rates in the metropolitan New York area. Interested parties who want to know the historic details of the property can contact Brent M. Colley at 860-364-7475. The Georgetown redevelopment project did not receive a U.S. Department of Transportation TIGER grant. The redeveloper had applied for $28 million to build a parking garage for a planned railroad station at the site off Route 107. The project calls for a transit-oriented, pedestrian-friendlly village at the former Gilbert & Bennett wire mill site. It includes a mixed use of commercial, retail, residential, affordable and senior housing, and a community theater. “Lack of funding for the train station portion of the project potentially changes the timing of it but does not deter us from moving forward with what is a significant project for Georgetown, Redding, Fairfield County, the State and the U.S.,” said Chris Lynch, project manager, who expressed disappointment that no Connecticut project was funded under the TIGER grant program. The TIGER (Transportation Investment Generating Economic Recovery) Discretionary Grant Program was included in the American Recovery and Reinvestment Act to spur a national competition for transportation projects. The 51 projects funded with the $1.5 billion allocated in the Recovery Act include improvements to roads, bridges, rail, ports, transit and facilities. “We have every confidence in our Congressional delegation’s ability to get a fair hearing with the U.S. Department of Transportation and that some Connecticut projects will be funded. Hopefully ours will be one of them,” said Mr. Lynch. He thanked the state Department of Transportation for its support to date. “They have been excellent to work with, very supportive of our project and provided us with significant funding for the roadway portions of our project to date. We look forward to continuing to work effectively with them on many aspects of our development project,” he said. While the garage that goes with the train station did not receive TIGER funding, there is already $3.5 million from the state to build the new train platform. In the midst of statewide budget cuts, residents of Redding received some significant news Monday. Gov. M. Jodi Rell announced $1.3 million for road improvements in the Georgetown section of town. The improvements are part of a larger project to build a new train platform and 600-car parking garage, along with 400 residential apartment units and about 300,000 square feet of commercial and retail space on the former Gilbert & Bennett wire mill property. "This has been under discussion with the state of Connecticut for several years, and I am very grateful to the governor for bringing it to a successful conclusion," First Selectman Natalie Ketcham said Tuesday. "This will be a wonderful catalyst for progress in the redevelopment of the site." Discussions about the project, which will stimulate the local economy, bring jobs and allow more people to travel to other parts of the state and region, began about eight years ago. In a statement, Rell said she anticipates the $1.3 million will be approved when the State Bond Commission meets Jan. 8. She estimates the project could result in up to 1,450 new permanent jobs. "This begins the job creation with employees in the construction industry, and that will become permanent as places of businesses are able to open and employ people," Ketcham said. Ketcham said the project has received much support from the state, especially the Department of Economic and Community Development, "because they are aware of the enormous regional significance and job creation and economic development that it will create." Ketcham said a wastewater treatment plant is operating on the site that will ultimately handle both the new development and the Georgetown area. 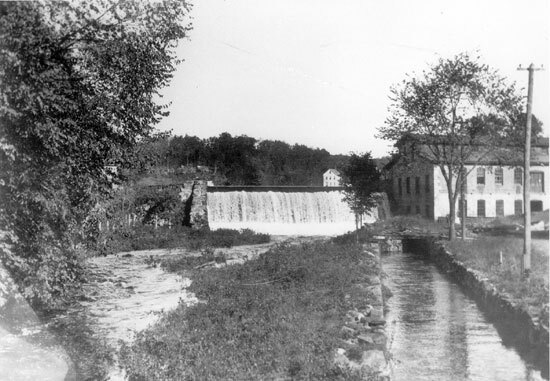 Many of the old mill's non-historic structures have been removed, providing a clear view of the Norwalk River and waterfall on the property. The historic buildings on the site will be restored. "Reusing and redeveloping these contaminated and often long-abandoned parcels is one of the most responsible things we can do as a state," Rell said of the 51-acre brownfield. 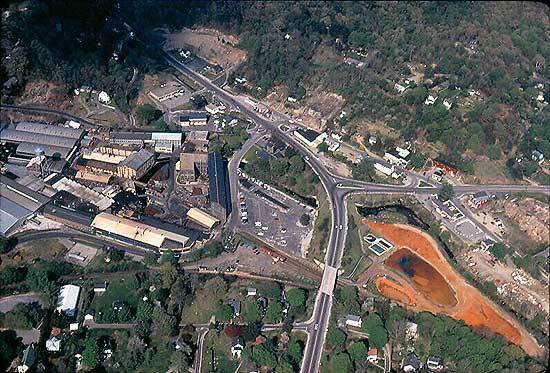 In October 2008, Redding secured $425,000 for the remediation and removal of contaminated soil at the site. Ketcham said the money has not made its way to the town yet, but she expects it to come shortly. Some tangible work might begin next year on the long-awaited Georgetown Redevelopment Project. An official with Syosset, N.Y.-based LiRo Group, the managing partner in the 60-acre former wire mill property, said the activity will include a realignment of access roads to the area. "We're focusing on the off-site work," said Chris Lynch, a project manager who works at LiRo Engineering and Construction Management in Redding. "We're hoping it will be just enough to get things going. We don't want the traffic flow to have a negative impact on the town. "We hope to start in the spring of 2010," Lynch said. "We're doing a bid package to go out in mid-winter." The timetable for building the project's housing units and commercial and industrial structures, however, is nebulous. Lynch added that no construction financing is yet in place. The $350 million project has garnered numerous rounds of public funding, including $72 million in tax-exempt bonds. One such public funding source is crucial. 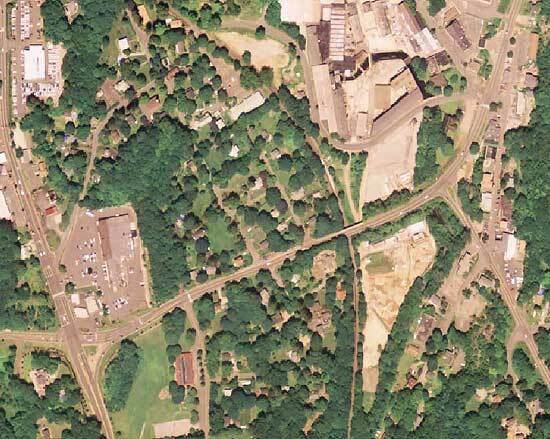 Construction of a railroad station and adjacent 570-space parking facility on the Georgetown property depends on a $28 million grant from the Connecticut Department of Transportation, according to Georgetown Redevelopment Corp.'s grant proposal. Georgetown Redevelopment acquired the former Gilbert & Bennett Wire Mill property in 2002. If the developer can get the $28 million Transportation Income Generating Economic Recovery, or TIGER, grant, work on the train station would start next spring and finish in 2011, the grant proposal states. Georgetown Redevelopment said in the proposal that a mix of public and private sources will provide the rest of the money for a $43 million train station at the southern tip of the project, which includes land in the towns of Redding and Wilton. Depending on finances, the remainder of the project would be built over several years. Its master plan includes as many as 416 housing units, which would include single-family homes, townhouses, loft-style condominiums, market-rate and affordable apartments. The commercial component would include as many as 140,000 square feet of storefront space to accommodate regional retailers and restaurants; as many as 130,000 square feet of office space, and about 30,000 square feet of industrial space, of which the National Park Service would occupy half for its Weir Farm National Historic Site office. A 20,000-square-foot performing arts center also is planned for the project, which is expected to create 1,500 permanent jobs and about 600 construction jobs. But without further funding, the property could remain an abandoned wire mill a little longer. Nick Perna, economic adviser to Waterbury-based Webster Financial Corp., parent of Webster Bank, said he was pessimistic about prospects for financial backing during the recession. "That was a very promising development," said Perna, an economist and resident of Ridgefield. "It was being heralded throughout the state. The key question is can they get the financing? The last thing anyone is thinking about doing now is commercial real estate." Perna said he would like to see the project succeed. "It's a neat area. I live near there," he said. Tom Murphy, a senior fellow with Washington, D.C.-based Urban Land Institute, said many private developers nationwide are having trouble getting private financing. "It's much harder to fund a project like this, but there are still deals like this happening," he said. Murphy said banks that used to lend 70 percent to 80 percent of the total cost of a construction project now are lending 50 percent to 60 percent -- if a developer is fortunate enough to get a loan. Loans are hard to obtain because the value of current real estate projects are a lot lower than they were when first planned, Murphy said. "The challenge is, how do you fill that gap (in value)?" he added. The Georgetown project has a favorable chance to succeed because it would contain the kind of housing that workers who commute to financial hubs in New York City and Stamford need, said Fred Carstensen, professor of economics at the University of Connecticut in Storrs and a former adviser to the Georgetown project. "It is a well-conceived live-work environment," said Carstensen, who also is director of the Connecticut Center for Economic Analysis at UConn. "It is quite viable, but it's going to take some time for it to come to fruition." Although the Republican candidates offered similar views to the Democratic candidates on the status of the fund balance and the town’s fiscal health in prior questions, they took slightly different stances on other issues, like the Georgetown redevelopment project and open space purchases. As far as the Georgetown project, unaffiliated candidate Steve Martin said he is “neutral” on the issue. “I’d like to see a beautiful village down there... but I’m not convinced it’s a place that’s going to be a win-win for Redding because we don’t know who will move into those apartments,” he said. There are families who “coach” other parents to bring their special needs children to Redding, he said, “because we don’t fight them, we pay for them.” In some cases, these children can cost the town $100,000 or more. “I’m not saying we shouldn’t help people who are disadvantaged, I’m just saying we don’t know as a Board of Finance what families will move in,” he said before his time ran out. He described Georgetown Land Development Company, redevelopers of the former Gilbert & Bennett wire mill site, as having a “rotation of players” on the private investment side. Not only will the town benefit from the taxes, but also revenues related to permit and conveyance fees, he said. Also, he said, the town has to be “mindful” of the possibilities under the state’s affordable housing appeals law, which allows developers to override local zoning laws. “It’s incumbent on us to do everything we can to make this project happen,” he said. For Republican candidate Frank DeSalvo, the project’s state is not “as dreary” as others make it out to be. While the company has gone through a change in management, he said the same shareholders remain. “It’s been a natural time for transitions,” he said. And after facing numerous delays at the state level and due to the economy, intersection work is expected to begin in the spring, he said. The site is also protected, he said, by the master plan approved by the town. “To wish it doesn’t happen is not a good wish,” he said. The project was one issue Democratic candidate Peter Bonfanti agreed with the Republican candidates on. He called it “key” to the financial future of the town. “We should do everything we can to move the superb work of [First Selectman Natalie Ketcham] forward,” he said. From stimulus funding, Super 7 and cigarette receptacles, to Redding’s Hollywood debut, there have been many developments in the town over the last year or so. But what is the most important issue right now? “I think it’s the Georgetown project,” said First Selectman Natalie Ketcham in her State of the Town address to the Redding League of Women Voters last week. Ms. Ketcham described the recent changes in management for the Georgetown Land Development Company (GLDC), redevelopers of the former Gilbert & Bennett wire mill site. While GLDC president Steve Soler is still involved in the project, Rocco Trotta of The LiRo group construction management company has stepped to the forefront for the project’s next phase. “It’s a love. He very much thinks this is the way areas should be redeveloped, and, if he does it right, what better project to have his name associated with?” Ms. Ketcham asked. About a year ago, the Georgetown Special Taxing District was preparing to go out to bid for intersection improvements the developer by state law must make to handle additional traffic generated by the completed project. The state requires developers to commit to this work, Ms. Ketcham said, because it doesn’t want a developer to build and leave these improvements on the state’s tab. “That was the day after Lehman Brothers failed,” she said. “I realized if we were going to get this project going, we needed to get involved,” she said. “I thought this project was the ‘poster child’ for stimulus funds.” She was able to secure regional transportation funding by arguing the funds would not just benefit the Gilbert & Bennett project, but also the Main Street Georgetown streetscape project. Ms. Ketcham said. “Now it has a dual benefit and a clear benefit.” The town is going to go out to bid for construction management services, she said. “Now there is renewed interest in the project and there may be some good news by the end of the year,” she said. Christopher Lynch, the new representative of Georgetown Land Development Company (GLDC), explained his position in the Gilbert & Bennett wire mill redevelopment project, as well as plans for funding, to the Board of Selectmen Monday night. Mr. Lynch is a project manager for Rocco Trotto, head principal of The LiRo Group, a construction management company that is taking on a new role in the Georgetown redevelopment project as it enters a “new phase” — going vertical. Described as a “change in the management structure” of GLDC, Mr. Lynch said he will represent all members of GLDC, specifically Mr. Trotta. Stephen Soler is remaining as GLDC president. This is the latest development in the Georgetown redevelopment project, which has been delayed by required state approvals and most recently by the economy. The mixed use, commercial and residential transit-oriented project is governed by a master plan approved by the town’s Zoning Commission. Mr. Trotto has always been a principal of GLDC, “since the beginning,” Mr. Lynch said. The LiRo Group, he said, has represented many large New York City projects and clients such as Ground Zero, Yankee Stadium, bridges, the city school system, the New York City Fire Department and the City of Bridgeport, among them. About the application The DOT is applying for: $28 million for construction of new platform station and 570-vehicle parking garage. The state Department of Transportation has applied for $329 million in federal stimulus funds to help pay for state transportation projects, including $28 million earmarked for Redding. The money would finance construction of a new platform and a 570-vehicle parking garage for commuters in the Georgetown, which is served by the Danbury branch of New Haven Railroad, Gov. M. Jodi Rell announced Thursday. "Connecticut has actively and aggressively sought every Recovery Act funding opportunity available to strength our economy, move forward strategic initiatives and, most importantly, put people back to work," Rell said. The new platform will be located near routes 107 and 57, where Georgetown Land Development Co. is building on a vacant brownfield. The state has committed more than $7 million to support demolition, remediation and removal of contaminated soil on the site. The company plans to build 416 units of housing, commercial, retail and office space and a performing arts center, according to the release. Rell called the project "responsible growth at its best." The Housatonic and Naugatuck railroad companies also will receive funding if the application is approved by the Transportation Investment Generating Economic Recovery program. $28 million for construction of new platform station and 570-vehicle parking garage. $50 million for construction of I-95 and I-91 Route 34 interchange at the Pearl Harbor Memorial Bridge project in New Haven. $37 million for the reconstruction of Moses Wheeler Bridge, where I-95 crosses the Housatonic River between Stratford and Milford. $21.3 million for Stamford's "Complete Streets and Transit Access" project. $109 million for freight rail projects for Housatonic Railroad, Naugatuck Railroad, Valley Railroad, Connecticut Southern Railroad and New England Central Railroad (two projects), Providence & Worcester Railroad and Branford Steam Railroad For information, visit www.ct.gov and click on the CT Recovery link. The state has committed up to $1.7 million for two intersection improvements in Georgetown. These improvements will not only benefit the Georgetown Streetscape project, but also the Gilbert & Bennett Redevelopment project off Route 107. Redding First Selectman Natalie Ketcham recently met with state officials to discuss the improvements to the intersections of Routes 107 and 57 and Route 107 and North Main Street. The town of Redding will be responsible for the project, Ms. Ketcham said. “These funds were approved for safety improvements and to move forward with the Streetscape project and safe pedestrian access at the Georgetown Post Office site and across Route 107 to North Main Street,” Ms. Ketcham said. The Streetscape project, planned by Redding town officials and Georgetown Village Restoration Inc., calls for the enhancement of the Main Street business district and Old Mill Road. Among the proposed improvements are sidewalks, streetlights and parking. As part of the funding process, said Ms. Ketcham, a public information meeting is required so residents understand the intersection improvements that have already been approved by the State Traffic Commission as well as the funding itself. The town also has to confirm with Connecticut Light & Power Company that it is set to go in terms of the work it needs to do, she said. The town has requested signal pre-emption at the intersections. This is a device on the traffic lights that would allow the volunteer fire departments to control them in case of an emergency. Redding has also requested medians at the intersections to provide traffic calming. The plans for the intersection work are 90% complete, Ms. Ketcham said. GLDC began the process for State Traffic Commission approval for the intersection work about two years ago. The project is expected to take one construction season. .
Georgetown Land Development Co. got good news this week — it has the money it needs for two intersection improvements and approval from the State Traffic Commission (STC) for a phasing-in plan crucial to the redevelopment project. First Selectman Natalie Ketcham said that at Monday’s STC meeting, the commission agreed to the phasing-in plan. The first phase is two intersection improvements, at North Main Street and Route 107 and at North Main Street and Route 57. These improvements are projected to cost some $1.5 million. Since the company has funding for this work, the commission is not requiring it to post a bond for this phase. The Housatonic Valley Council of Elected Officials, of which Redding is a member, has agreed to provide funding for up to $1.6 million for these two intersection improvements. The Council of Governments in Bridgeport said it had money available to loan to the Housatonic Valley Council of Elected Officials, Ms. Ketcham said. Since the state Department of Transportation has to approve projects using this money, it looked at multiple planning regions in the state and determined $1.6 million could be found and used for the work. Each year, planning regions in the state get federal highway dollars. If a region has no project that is eligible for the dollars, it “lends” its money to another region that does. Eventually, the borrower pays back the money through its federal funding in future years. The council’s money will come to the town, said Ms. Ketcham, since it cannot go directly to a private developer. The town would then pass the money along for the intersection work. “We are relying on these improvements for safe pedestrian access to the Main Street and Old Mill Road business district,” Ms. Ketcham said. With the phasing-in plan accepted by the STC, said Stephen Soler, Georgetown Land Development Co. president, his company can now pull building permits for Phase A of its project plan. Once these are approved, the buildings can be sold to third parties, providing much-needed cash for the development company, Mr. Soler said last week. This commission has a request from GLDC to accept a phasing-in plan of its required intersection improvements to allow the company to develop portions of its property now. This essentially reduces the considerable bond amount the STC is requiring of the company for all of the improvements. The company has asked that it be allowed to improve the intersections of North Main Street with Route 107 and North Main Street and Route 57 now. These improvements would cost some $1.5 million. The company has also asked for the delay of improvements to the intersection of Routes 7 and 107 to a later date. The improvement planned at Route 7 and North Main Street near Bruce Bennett Nissan would take place once the company is reimbursed by the state for the improvements it made to the railroad crossing near this intersection. The reimbursement would provide the money for this work. The company is now seeking subdivision and site plan approvals for three parcels on the property. The Zoning Commission has jurisdiction over site plan approvals; the Planning Commission over subdivision approvals. No Conservation Commission approvals are required — this commission has already indicated there is nothing in the proposal that affects wetlands or watercourses or any licenses the company has from it on the property. If the requests are approved, it will allow the company to convey the parcels to third parties to develop, “so it generates much-needed cash for the development company,” said Stephen Soler, Georgetown Land Development Co. (GLDC) president. He later said that as the buildings are phased in, so would the infrastructure for the site. Selectman Tina Miller asked for an update on the Georgetown redevelopment project at the board’s meeting Monday night, and while there was a meeting of the Georgetown Special Taxing District set for this week, First Selectman Natalie Ketcham said she has not heard anything. Ms. Ketcham said she has been working with the town’s regional planning agency, the Housatonic Valley Council of Elected Officials (HVCEO), to come up with funding for intersection improvements to Route 107. Georgetown Land Development Company (GLDC), redeveloper of the former Gilbert & Bennett wire mill site, is required by the state to make these off-site improvements before construction on-site can begin. In a letter, the state Department of Transportation (DOT), she said, approved the release of stimulus funds from HVCEO for that work. “They think they’ll be able to cover 90% of the cost,” Ms. Ketcham said. A phasing plan for the off-site work was submitted, but has not yet been formally approved. This was supposed to be on the state Traffic Commission’s agenda this week, Ms. Ketcham said, but it appears it is not. She said she has made calls to push the commission to include GLDC on the agenda. “There is much conversation among residents about what Plan B is,” Ms. Miller said. “In office, I always hope for the best and plan for the worst, and this is no exception,” Ms. Ketcham said. AFTER seven years’ work on a redevelopment plan that attracted enthusiastic support from residents of this affluent town, the developer, Stephen Soler, is so depleted by state bureaucratic delays that he is ready to walk away. “We have been looking for a buyer to take the whole thing — let’s leave it at that,” said Mr. Soler, the principal of the Georgetown Land Development Company. Mr. Soler’s $300 million plan to build a transit-oriented village on the site of the Gilbert & Bennett wire mill had promised to fill the hole left in Redding’s commercial tax base after the factory shut down in 1989. In a corner of Redding known as Georgetown, the factory was the only industrial development in a town characterized by two-acre zoning and a great deal of open space. Although Mr. Soler has proceeded with some demolition, environmental cleanup and a new wastewater treatment facility, most of his vision exists only on paper. The fault lies primarily with the state, he says, for delaying him right into a recession. With the credit markets so tight, “the biggest problem now is the ability to get financing to do the infrastructure,” he said. The delays also figured in the loss of a $50 million contract with TCR Northeast Land Acquisition for the housing development rights to the project. TCR, an affiliate of Trammell Crow Residential of Dallas, had agreed to buy six parcels intended for town houses and lofts, once all necessary permits and approvals were in place. It terminated that agreement in July. He added, “We and A.I.G. just decided not to keep going.” TCR is now suing Georgetown Land for the return of its $1.5 million deposit, and is pursuing foreclosure on a small parcel mortgaged on the site as collateral. The mill project’s reduced circumstances are a deep disappointment to Redding officials, who have been supportive of Mr. Soler’s efforts since he acquired the property in 2002. They worked with him to secure legislative approval to set up a special taxing district exclusive to the site, with its own authority to float bonds to pay for infrastructure improvements. His company had also gained favor with development-wary residents by seeking input from them at brainstorming sessions led by Andrés Duany, a principal in Duany Plater-Zyberk & Company of Miami, which specializes in new-community design. “Stephen Soler has crossed a very large number of hurdles and has met every condition that the town had set when it first worked with him to acquire the property,” said Robert B. Dean, the vice chairman of Redding’s planning commission. Mr. Soler’s relationship with the state, however, has been contentious. Before he can begin building, he must obtain approval from the State Traffic Commission, which requires that large projects come up with a mutually acceptable plan for remedying impacts on state roadways. His plan was approved in 2006, but the panel hasn’t issued the certificate he needs to proceed. The reason, said Kevin Nursick, a spokesman for the Department of Transportation, is that the developer has yet to post the $10 million bond required by the state to ensure that the work is done. The panel agreed to break the bond requirement into portions, Mr. Nursick said. But Mr. Soler has said since last year that, given credit market conditions, his company can no longer issue bonds at a reasonable rate. Mr. Soler had always planned to sell the development rights to the property after the infrastructure was in place. If he sells it before then, Redding officials worry that the site may attract a more conventional and less community-friendly developer. They are especially worried that a developer may use the state’s affordable-housing appeals law to circumvent local zoning and fill the entire site with high-density housing. The law grants developers higher-density allowances if they reserve a certain portion of the housing for low- to moderate-income residents, and makes the rejection of such projects more difficult for towns in which less than 10 percent of the housing units qualify as affordable. Redding is “a sitting duck” in that regard, Mr. Dean said, as it has no affordable housing at all. Officials are aggressively working with Mr. Soler to secure public financing for the infrastructure improvements that would support the existing plan and perhaps entice investors. Residents recently agreed to a $3.5 million loan through the Tax Increment Financing program sponsored by the Connecticut Development Authority to help pay for improvements to North Main Street, the mill complex’s main route. The loan would be repaid through the anticipated increase in tax revenues after the project was complete. Although the economy has stalled the overall project considerably, there is good news regarding the affordable and senior housing plan for the Gilbert & Bennett redevelopment project in Georgetown. In a presentation to the Commission on Aging last Wednesday, Stephen Soler, Georgetown Land Development Company president, developer of the former wire mill site, explained how certain grants and tax credits should help move this particular piece of the project along. “I made a commitment to build affordable housing with a specific senior component here, and this is the first project on this site that is at a detailed stage,” Mr. Soler told the group. For example, a one-bedroom unit in this area, he said, could go for $1,200 to $1,500 per month at “market rate.” The units in this particular project will run closer to $650 to $750 per month, he said. Units will range in size from 627 square feet to 1,500 square feet, and each will be unique in shape, offering a different feel than a typical “institution-style” layout, Mr. Soler said. Originally, these units were to be split throughout the site, but now they are included in one building. “These won’t be cookie-cutter units,” Mr. Soler said. This affordable housing project has, so far, received a $2-million grant from the state Department of Economic and Commercial Development. Now, the company is waiting to see if it will be allocated a tax credit for the building, Mr. Soler said. All those meetings with state officials about money for the Georgetown redevelopment project are paying off. The state has “committed in writing” that it will fund the train station at the site, according to First Selectman Natalie Ketcham. Soler cites the economy and a byzantine state bureaucracy for grinding the project to a halt, after the Town of Redding approved it in 2004. He figures that he's eligible for around $6 million of stimulus funds to help complete North Main Street, which would serve as a pipeline for infrastructure into the site. It is expected to cost up to $15 million and would would allow the project to "go vertical," says Soler. "I'm waiting for the state to stop playing games," he says. "We submit paperwork and they keep putting up new hurdles. It's frustrating and I'm not the only local concern with local projects going through the same experience." The federal stimulus funds are essential because lenders are wary of getting involved with sites that were once contaminated: "That money is the only thing out there." G&B project: Is stimulus money on horizon? The Gilbert & Bennett redevelopment project did not receive any federal economic stimulus money through one of the four categories of funding. But a meeting last week with state officials was aimed at getting money, whether state or federal, for the project. The Connecticut Recovery Working Group, which includes Joseph Marie, state Department of Transportation commissioner, recently allocated the state’s $137 million in stimulus money for the transit and transportation category. The money was primarily allocated to replace public buses with hybrid buses, and for a bus repair facility. Stephen Soler, president of Georgetown Land Development Company, the redeveloper of the former Gilbert & Bennett wire mill site, had hoped to get some of this money for his project. “I was clearly disappointed by what the DOT has done,” he said, adding the decision did not seem to fit the requirements listed by Lawrence Summers, an economist who heads the White House’s National Economic Council. Mr. Soler also said buses won’t create jobs in Connecticut. His project is shovel ready, Mr. Soler said, and would create upwards of 350 infrastructure jobs that would lead to 500 construction jobs once the roads and infrastructure are in place. When the project is done, he said, the University of Connecticut’s Center for Economic Analysis projects it would bring 1,500 new jobs into the region. “That is roughly the number who worked here daily when the company [Gilbert & Bennett Manufacturing] was going strong,” Mr. Soler said. The Gilbert & Bennett redevelopment project may get a boost from President Barack Obama’s economic stimulus plan. If money for road work at the site is approved, it would negate the need for the town to participate in tax increment financing (TIF) for the project. Stephen Soler, president of Georgetown Land Development Company, the redeveloper of the former wire mill site, attended Monday’s finance board meeting. Mr. Soler said his company applied for stimulus funds last December, before it was notified about the state’s approval of $3.5 million in tax increment financing for his project. The state is throwing its support behind the Gilbert & Bennett redevelopment project in Georgetown, announcing this week that $3.5 million in tax increment financing has been approved. This is the first step in a process for which the town, state and Georgetown Land Development Company have partnered. The state’s announcement means the application for the funding was approved by the Connecticut Development Authority board, which met earlier this month. Negotiations between the town, state and Georgetown Land Development (GLDC) still need to occur. The town meeting authorized the town to enter into negotiations with the state and GLDC, with the caveat that conditions are met before any agreement is signed. “If GLDC cannot satisfy those requirements, then the town will not sign the agreement and the tax plan will not happen,” Mr. Alvarez said. The $1.2-million streetscape project master plan is being made possible through a state STEAP grant of $500,000 and a federal SAFETEA grant of $622,200. The first grant was awarded in 2001, the second in 2006. To make good use of what is now available in construction dollars, and in an attempt to secure more funding for the entire master plan, Mr. Parsons said Monday he will work on phasing out the master plan further. He will report back to the group on Wednesday, Jan. 21, at the Bible Church at 12:15PM. He said he will work with the town and the state Department of Transportation (DOT) to try to expedite the state approval process. Stephen Soler, president of Georgetown Land Development Co., which is redeveloping the Gilbert & Bennett wire mill site, said the town may be able to secure some federal money for the project through a second round of the proposed economic stimulus package. At a special town meeting, residents voted 101-31 to enter an agreement with the state and GLDC that will allow the development company to receive $3.5 million from the Connecticut Development Authority to build roads at the site. Under the plan, Redding will receive no increased property taxes from the site as commercial property is developed there, until the state loan is paid back. The town will continue getting the $102,000 in tax revenue it now receives from GLDC commercial property. GLDC will pay the state for any additional taxes that become due. The plan is called tax increment financing. The benefit for the town is an "improvement in quality of life and eventual increased tax revenues," First Selectman Natalie Ketcham said. "There was a standing-room-only crowd at the town meeting Tuesday," Ketcham said, "and the agreement was overwhelmingly approved. I am very proud that the residents of Redding stepped up to the plate and approved investing tax dollars into the project at this time. It's very important that this project begins construction." GLDC is developing the old wire mill site into a village center, with housing, commercial space and a train station. The town assessor has projected the eventual taxes paid to the town will be about $5.25 million a year. "We are pleased with the result of the town meeting last night," said Steve Soler, president of GLDC. "This positive vote allows us to apply to the Connecticut Development Authority for the tax increment financing." The CDA loan will be specifically for brownfield remediation where roads will be built. North Main Street in Georgetown qualifies for remediation under Connecticut Department of Environmental requirements, Soler said. Funds from the tax increment financing will be specifically used for remediation of North Main Street at the wire mill site. Approximately 132 people attended the town meeting Tuesday night amidst freezing rain and the threat of more ice throughout the evening. Of the 132 who attended, 101 voted in favor of the proposal, with 31 voting against. Probate Judge Richard Emerson was elected the meeting’s moderator at the packed community room at the Redding Community Center on Lonetown Road. . The vote authorizes the Boards of Selectmen and Finance to “ascertain compliance” with several conditions before entering into any agreements with the state agency or GLDC for tax incremental financing. The conditions include that the redevelopment company meet all requirements set forth by the state development authority or its subsidiaries, that GLDC provide documentation of the financing needed to complete remediation on the North Main Street roadway infrastructure improvements leading to the new train station, and the full commercial phase of the project, and to authorize First Selectman Natalie Ketcham to do any legal due diligence required to accomplish these conditions. Comments ranged from whether GLDC has provided evidence it can’t get a loan in this market, to if the motion even makes sense — all leading back to questions about how tax incremental financing works. As for the interest rate in this loan, Mr. Alvarez said it would most likely range between 5% and 6%, but, he added, the town won’t know specifically until the agreement is negotiated. The town may accelerate payments, he said. Acknowledging that the state development authority has loan programs aside from tax incremental financing, Mr. Alvarez said GLDC has already applied for those loans to make up for a shortfall from the investment banks failing. Rosalind Kopfstein, Commission on Aging chairman, said her group strongly supports the tax proposal. She said the project will “improve the quality of life for seniors” in Redding. The finance board also has a unique opportunity to guarantee the responsible growth of the area, she added. .
Georgetown Land Development Co. (GLDC) officials have taken another step toward submitting a full site plan in the coming months. The Zoning Commission last Wednesday approved the company’s amendments to its master plan site plan, changes GLDC representatives call simply tweaks to plans for the redevelopment of the former Gilbert & Bennett property. The proposal called for reconfiguration of the affordable housing and performing arts building, as well as design modifications to the intersection of Bennett and Miller streets within the new development area. One change calls for the affordable housing to be relocated into one building, in the similar location where it was originally planned. Originally, designers had split the units throughout the site, but, while working with Jonathan Rose Co. and Crosskey Architects, the plans have again been adjusted. “We’re still going to have 55 affordable housing units (per state statute section 8-30g),” said Mr. Gibbons. Forty of these units are for the elderly. There are also plans to move the location of the black box theater since the former site was “deemed to be inadequate,” according to the plans submitted last Wednesday. Mr. Gibbons said that GLDC officials are working with the Wire Mill Theatre Arts Foundation to find an alternate location within the other existing or new buildings on the site. Next Tuesday, Jan. 6, the public will have the opportunity to vote on a tax proposal by Georgetown Land Development Co. that is supposed to help jump-start work on the former Gilbert & Bennett wire mill site off Route 107. The public will be voting on whether to approve the town’s participation in tax increment financing (TIF), which would provide the Georgetown Land Development Co. (GLDC), owner of the wire mill site, with a $3.5-million loan from the state to complete road and infrastructure work. The idea behind the TIF concept is that increased site value from the work creates more taxable property and, in turn, increases tax revenues for the town — revenues the town may gain sooner than if the project stalled because of lack of funding. If the town’s participation is approved, town officials, the state and Mr. Soler will work together to determine what future incremental tax increases would be generated by the completion of the roadwork. The town would then allow the property owner(s) to direct a portion of the incremental tax revenues owed on the commercial entities in the project to the state to help pay back the loan. The three groups would determine a payment plan, which usually lasts between 10 and 15 years. Now, the heavy equipment is ready to roll for the proposed $300 million redevelopment of the Gilbert & Bennett wire mill complex. The sweeping plan would transform the 50-acre factory site into a green village consisting of homes, commercial space and not-for-profit organizations, all centered on a pond created by a loud waterfall built to harness the power of Norwalk River. Refurbished relics from Connecticut's industrial past would provide an architectural focal point. The project, which features a revamped train station and parking garage, enjoys wides support from major stakeholders, according to local officials, and won a National Award for Smart Growth Achievement from the U.S. Environmental Protection Agency — all before any shovels struck the ground. But now that the project has finally been cleared, the credit freeze threatens to leave developer Stephen Soler without the money needed to start. "This is a pivotal time for the project," he says. "The state dragged its feet for so long, and just when I'm ready to get started, they dragged me into the worst finanacial crisis since the Depression." Soler says he's spent $40 million in Georgetown so far. He's razed about two dozen buildings, keeping those with good bones, and removed concrete slabs to reveal the river that runs through site. To move towards completion, he is hoping for money from the Troubled Assets Relief Program (TARP), part of the $700 billion bailout bill passed last October. TARP payments have gone to local banks, says Soler, but the money isn't trickling down. If he can't raise funds, a new North Main Street and other infrastructure improvements needed to jumpstart the project will be delayed. "I went to [Sen.] Chris Dodd's office and suggested that any bank getting TARP money should be required — forced — to lend 50 percent of it," says Soler, "but the bill passed without the provision." To raise the $3.5 million needed to start work on North Main Street, Soler seeks to raise capital with help from the Tax Increment Financing (TIF) program, sponsored by the Connecticut Brownfields Redevelopment Authority. Under TIF, the state loans money to a developer that is paid back by the municipality through anticipated commercial taxes that materialize once the project is complete, says Cynthia Petruzzello, Brownfield Authority vice president. Under the provisions, the town agrees to forego a portion of the projected tax revenue to repay the state over a pre-determined period of time. In return, if all goes well, the town receives a tax-generating property, says Lee Hoffman, an attorney at Pullman and Comley, who specializes in brownfield law. If the project remains incomplete, the state can put a lien on the land. "That rarely happens," says Hoffman, "because the state vets these projects thoroughly." The Town of Redding is scheduled to vote on authorizing the TIF arrangement before the end of the year and will likely hold a Town Meeting about it in January, said First Selectwoman Natalie Ketcham. Without TIF, Soler says he would probably eat the carrying costs for two or three years as the market played its course. He could ultimately sell the property to another developer, who might scrap the plan devised with input from local residents. Soler estimates that his new village will generate around $5.9 million annually to the town, a third of which will be subject to the TIF repayment. He also intends to seek a share of the economic stimulus package that Congress will likely debate when it convenes under the new administration. The town could certainly use the commercial tax revenue of the project, says Ketchem, because outlying areas consist mostly of properties zoned for two acres and wide swaths of public watershed land. The small commercial district in Georgetown is clustered around Main Street, a narrow pathway more suited to horses than cars. Local business owners have long lobbied for improvements. with newer buildings, similar to Soler's site. The hope among local merchants is that the Gilbert & Bennett development will jumpstart a general revitalization of this historic crossroads, says Nancy Silverman, owner of the Georgetown Saloon. That is, if Soler can leap his latest hurdle. "The state approval and permitting process is absolutely byzantine," he says. "Most developers of a site like this who were really determined to build would probably just come up with a plan, sue everyone and let the courts decide." The finance board has determined that it is “fiscally responsible” to send a request to a town meeting to approve Tax Increment Financing (TIF) in the amount of $3.5 million for Georgetown Land Development Co. The Board of Selectmen has scheduled the Town Meeting for Tuesday, Jan. 6, at 7:30 p.m. at the Community Center, with a snow date of Thursday, Jan. 8, at the same time and place. The motion from the finance board’s meeting last Thursday night, which passed 5 to 1 with member Albert Viscio in opposition, is considered a recommendation to approve the TIF if certain conditions are met, said Bill Alvarez, board chairman. The finance board has recommended the selectmen “go ahead with the TIF,” contingent on Georgetown Land Development Co., the redeveloper of the former Gilbert & Bennett wire mill site off Route 107, meeting two specific conditions, he said. The board has done its due diligence, as has the town assessor with the assessed values and revenue projections, to say there are sufficient projected incremental taxes to pay for the TIF, he added. “We’re being as fiscally responsible as we can be by saying that at the end of the day, if we don’t feel GLDC has lined up everything, we have the ultimate ability to say this is not a good deal for the town,” Mr. Alvarez said. Even if the Town Meeting approves the TIF, he said, the town can walk away if the finance board is not satisfied. Nick Simeonidis was the only member who said the board’s motion is not a recommendation for the TIF proposal. GLDC has requested the Tax Increment Financing, a commercial tax proposal, to help jump-start the infrastructure work at the site. This proposal is for the commercial property taxes only, not the residential. Under the proposal, the town would always receive the amount of commercial property taxes ($102,000) now due on GLDC’s property. However, the town would allow the company to repay the state with a portion of the taxes owed above this amount. The base amount would increase as the assessed value of the commercial property grows because of its development. Any additional commercial tax increments beyond what is owed to the state would go to the town. There would be a negotiated schedule for the payments, and interest would be charged. Should there not be enough tax revenue from the development to make the payment, the state would wait to get paid. At last Thursday’s meeting, the finance board’s motion said it had examined the projections for the incremental tax revenues to be generated by the buildout of the commercial base for the GLDC project, and their timing. As a result, the board confirmed that based on these projections, it would be “financially responsible” for the town to go to a town meeting to seek approval to participate in the TIF. But the board added conditions, including that GLDC meet the state agencies’ requirements for the TIF and that the company provide all documentary evidence of the financing needed to complete the remediation work on North Main Street and other roadway infrastructure improvements leading to the proposed new train station, as well as the buildout of the commercial phase of the overall project. The motion noted the Planning Commission’s conclusion that “the best available way” to lock in the master plan for the site that was approved by the Zoning Commission is to proceed with the TIF. The town will pursue a tax proposal for Georgetown Land Development Company through a state agency to help jump-start remediation and road work on the Gilbert & Bennett site. The boards of Finance and Selectmen agreed Monday night in a joint meeting that the master plan for the site as approved, with its mixed commercial and residential uses, is key to the town’s economic future. Through the state Brownfield Redevelopment Authority, Georgetown Land Development Company (GLDC), the site’s redeveloper, can get the loan necessary to do the road work. The disrupted bond market has made it difficult for the company to get necessary funding. The town will agree, however, to forgo portions of tax increments on the commercial properties only at the site to repay this loan once the project comes online. Tax increments are the tax revenue increases associated with the site’s increased value once it is developed. The executive session was called to review financial statements from GLDC to discuss its investment and intentions for the project and to disclose proprietary financial information. Selectman Donald Takacs said the “village” design will “provide an excellent use of the site.” “It’s important to have adequate assurance that GLDC will bring this project to a successful conclusion,” he said regarding the board’s approval. Remarking on the proposed senior housing for the site, and the cultural amenities like the Wire Mill Arts Foundation theater plan and the parking garage that “Main Street, Georgetown, desperately needs,” Ms. Ketcham said there are “so many benefits to Redding” in seeing the project come through as approved. The finance board is asking the Board of Selectmen to prepare the first part of the application for the program and to set up a meeting with the state to understand the process and the associated risks. In the meantime, the finance board will continue to assess the financial feasibility of the loan program for the town, and make a decision to move forward. If the finance board sees the plan as financially feasible for the town, the negotiated proposal will go to a townwide vote. At the Oct. 27 finance board meeting, Stephen Soler, president of Georgetown Land Development Company, which owns the site, described how his company can’t issue bonds at a reasonable rate in this market. The company needs money to begin road remediation and infrastructure within the site, Mr. Soler said. Without roads and infrastructure, the site will not attract potential buyers of the commercial properties. Faced with high carrying costs, Mr. Soler said his company is “nearing the end of the rope” with the project. GLDC has proposed tax increment financing (TIF), a concept by which the company would receive a loan from the state to complete this work. The increased site value from that work creates more taxable property and, in turn, increases tax revenues for the town — revenues the town may gain sooner than if the project stalled due to lack of funding. The proposal before the town pertains only to the commercial properties on the Gilbert & Bennett site. The town would still collect tax revenues earned in full from the residential properties on the site and it would earn revenues associated with building permit fees. Under tax increment financing, the town always collects what GLDC pays now in commercial property taxes, but the town would direct a portion of the tax revenue collected above that base amount in a payment to the state. After making a payment to the state each year, over a negotiated period of time, the town keeps the remaining revenue that comes in. This is not the first time tax increment financing has come before the town. GLDC proposed this concept back in 2005, but did not receive support from the town. With the Board of Selectmen’s recommendation, the Board of Finance agreed to do its “due diligence” in terms of the economic feasibility of this proposal for the town. As finance board member Nick Simeonidis said, “circumstances changed” for GLDC. “It made sense to revisit this issue. The general consensus was that the master plan was put at risk if this [tax increment financing proposal] didn’t proceed,” he said. Acknowledging there are no guarantees of the overall success of the project, Mr. Simeonidis said the Planning Commission advised “the best way to lock into the master plan is to build the next phase of infrastructure.” “Based on those recommendations, I think it falls on us to explore how to proceed in a fiscally feasible manner,” he said. The goal in the town’s involvement, he said, is to achieve the master plan for the site. Board member Frank DeSalvo said that a town meeting can’t be called until negotiations have been made with the state regarding the payment structure. “I think it’s much in our best interest to take the next step,” Mr. DeSalvo said, adding the risk is that GLDC will sell the property. The town will need to look at the different scenarios under this tax structure, like interest rates, said Albert Viscio, a finance board member. “It’s clear the state gets its money back. It’s clear [Stephen] Soler gets the money. Joe Dolan, finance board member, said the request from GLDC is “reasonable.” “Our job is to do our due diligence to protect the town’s interest,” he said. “At face value it’s a ‘no-brainer,’ but if we’re going to forgo future tax revenues, we need to make sure this project is going to happen.” He called the road GLDC will build with this money a “road to somewhere,” like the proposed train station, which is expected to be built once the road work is complete. “I’m pretty optimistic we’ll get to where we need to be to get the TIF to the town for a vote,” Mr. Dolan said. Chairman Bill Alvarez said a major concern is that if GLDC does not do the remediation now, the town may ultimately be responsible for it, specifically if the property were to be sold. According to Mr. Soler, the cost to remediate and complete infrastructure work is approximately $3.9 million. “I think the remediation of the project should bear some fruit for us,” Mr. Alvarez said, adding that the road also aids in keeping the master plan intact. “It will make it difficult for someone to come in, and gives assurance the project will come to fruition,” he said. Members of the public came in force to the joint meeting to express opinions on the proposal. Rosalind Kopfstein spoke on behalf of the Commission on Aging as chairman. The commission supports the TIF proposal based on the “benefits for future generations,” and the “need for senior housing.” “No one forced him to do this,” Ms. Kopfstein said of Mr. Soler’s senior housing plan on the site. Proposed are 40 units of affordable housing for senior citizens. The property value increases will relieve the debt owed, she said, adding that the town’s future “depends on” on the master plan. Residents Greg Berry and Bill Walsh said there should be “strings attached” to the proposal for the town. Mr. Walsh said the “strings” should come in the form of equity. Whatever the outcome, said Nancy Silverman, owner of the Georgetown Saloon, the town should not forget about Main Street. “It keeps getting shorter and shorter changed,” she said of Main Street and the proposed streetscape plan. She added that she hopes the streetscape plan for Main Street is kept intact. Adam Lubarsky, a local businessman, said the public should be aware that the tax increment payments reflect only one-third of the total tax revenue increases the town will get under this plan. “It’s not really the town throwing money at this project as much as it is the catalyst to jump-start the project,” he said. . The Planning Commission wants to be included in discussions over whether the town should participate in a commercial tax proposal to help jump-start infrastructure work on the Gilbert & Bennett redevelopment in Georgetown. In a letter to the Boards of Selectmen and Finance, the commission points to previous finance board meetings on the proposal, citing a lack of focus on the potential long-term effects on the town of losing the master plan for the site. At the meeting, Robert Dean, commission vice chairman, said with infrastructure in place, the risk of a high-density residential project lessens because any development is therefore restricted by the infrastructure boundaries. Under the affordable housing appeals law, towns that don’t have the mandated 10% of their housing stock as affordable housing are subject to an override of their zoning laws by a developer through the courts. Redding has no housing that fits the state’s definition of affordable. “The higher densities, in turn, are seen as an incentive for providing housing for moderate-income families, and the wealthier towns are the main targets because the high value of the market-rate housing units preserve a high profit margin on the project as a whole,” the commission’s letter states. This could not only affect the potential for tax revenue coming out of the site, but it could generate “substantial new expenses for the town including potentially the need to construct an additional school,” the letter stated. Georgetown Land Development Company is asking the town to forego collecting incremental tax increases on commercial properties within the Gilbert & Bennett site for a period of time in conjunction with a state program that would provide money the company needs to begin road work. At the Board of Finance meeting Tuesday night, Stephen Soler, Georgetown Land Development Company (GLDC) president, explained the program, which is administered under the auspices of the Connecticut Brownfield Development Authority. “It’s no secret you can’t get a loan from a bank, and neither can we,” Mr. Soler said of the stalled bond market. The company can issue bonds for the road work, but it cannot issue bonds at a reasonable rate. Without roads, the site will not attract potential buyers of the commercial properties, he explained. And, without buyers, the town can’t realize the tax revenues. The master plan for the Gilbert & Bennett redevelopment calls for a pedestrian-friendly, transit-oriented village with a mix of residential, commercial and retail space, along with amenities such as a community theater and a new railroad station. This proposal would deal only with the commercial properties. The company was preparing to issue bonds for the roadwork in September when Lehman Brothers filed for bankruptcy, Mr. Soler said. At the moment, he said, the company would be looking at spring 2009 as the earliest to get bonding. Noting the high carrying costs he is incurring, Mr. Soler said he began discussions with the state “on a number of levels.” “We wanted to see if they would buy a portion of the bonds,” he said. Part of the discussion with the state was about its role in financing the proposed new train station at the site and a parking garage. Mr. Soler said the state advised his company to look into tax increment financing as part of the work the company was asked to complete over the summer. This financing tool “is a way to stimulate activity so you gain revenue,” Mr. Soler said. With this plan, Georgetown Land Development Company would receive money from the state to do the road work. Once the infrastructure is in place, the town would begin making pledged yearly payments to the state using what it collects in incremental tax increases on the commercial property in the development. The town will always collect what GLDC pays now in commercial property taxes with the mill rate factored in, but it will direct a portion of tax revenue collected above that amount toward its payment to the state. After the payment to the state, the town keeps the remainder of the tax revenues. “I have buyers for those properties, so that [increased assessed] value will probably be realized in 2009 once the roads are in,” Mr. Soler said. Chairman Bill Alvarez asked what the town’s risk would be — specifically before infrastructure is in place. Mr. Soler said there is no risk for the town. The tax pledge for the commercial property at Gilbert & Bennett is with the landowner. If the town can’t make the payments, the state essentially waits, even if a new developer is brought in to complete the project. The only downside for the town is that it will not collect additional revenue beyond the property taxes owed if the project stalls. “So, the project will fail if we don’t step up and become a partner to the extent of foregoing tax revenues for 15 years?” Mr. Simeonidis asked. He added that the Connecticut Brownfield Development Authority has implemented this program with different municipalities throughout the state . “People have asked where the town’s commitment is,” Mr. Soler said of investors and buyers. “I can imagine your frustration,” said board member Albert Viscio. The board has requested an opinion from legal counsel with regard to the payment schedule and the town’s obligations. The board has scheduled a special meeting for this Monday, Nov. 3, at 7:30 p.m. at town hall. Gov. M. Jodi Rell announced today (Oct. 29) that the project will be awarded $425,000 for remediation and removal of contaminated soil at the site of the 51-acre former Gilbert & Bennett Wire Mill. The award was for a community with less than 50,000 in population. The governor said a total of $2.25 million is headed to the Georgetown site and four other brownfield sites. The money is intended to assist in redevelopment efforts under a pilot program the governor proposed and which was funded through the state Bond Commission. “My administration is serious about responsible growth, and reusing and redeveloping these contaminated and often long-abandoned parcels is one of the most responsible things we can do as a state,” said Ms. Rell in a press release. While the daylighting of the Norwalk River is about 90% complete at the Georgetown redevelopment project at the former Gilbert & Bennett wire mill site, infrastructure work is temporarily stalled. “The roads are designed and ready to go,” said Stephen Soler, Georgetown Land Development Co. (GLDC) president. “We were going to the bond market,” he said, adding that now there is a question of when the bonds can go on the market with a decent rate. “With the collapse of Wall Street, it’s hard to sell bonds,” he said. When the bonds do go on the market, they will be benefit assessment bonds. “I think the bond market will open up by the end of the year,” said Mr. Soler, adding the company’s bonds will be structured “so they can weather the storm for the next three years.” With the residential market stalled, Mr. Soler believes this portion of the project will be on hold at least a year, but expects commercial building to move forward. He said while the demand for residential housing is there, people often can’t sell their homes for six to nine months so they can’t buy now. The state has already approved a new railroad station at the site. In question now is the size of the parking garage that will accompany it. At one time, a 600-vehicle garage was planned, including parking for a proposed health club. That idea has since been scrapped, so Mr. Soler’s company was asked by the state Department of Transportation (DOT) and the state Department of Economic and Community Development to do a study of parking needs. The study determined 450 spaces would be needed. Mr. Soler said without the health club, his project needs only 300 spaces, but also taken into account is the town’s need for more parking spaces for Main Street and Old Mill Road. That was estimated at 150 spots. In any case, the number of parking spaces will determine how many stories the garage would have — at 600, four stories, at 450, three stories, and at 300, two stories. Photovoltaics are planned for the roof of the garage, which would then not use any energy from the power grid. “We’re in discussion with the state for a financial structure for the garage,” said Mr. Soler. He added that once the go-ahead is given on the garage by the state — probably by the end of the year — it would take about five months to build. “Realistically,” he said, the train station and garage could be in place by 2010. The building in the first phase of his project (commercial and one residential building) would be done at the same time, Mr. Soler said. “We kind of know who goes when on the commercial side, but the residential will be a function of the market,” he said. “We don’t know whether we’ll see residential in the mix next spring or summer.” In Redding, he added, because it is a rural community, people can get FHA loans. The Norwalk River, meanwhile, will be completely daylighted by the end of the month. The buildings and most of the concrete slabs that once covered the river have been removed. Work also includes taking out a pedestrian bridge near the sawtooth building. Since some of the river has been uncovered, Mr. Soler said, a couple of large-sized koi have been seen. “There are probably 300 to 400 fish here,” he said. Even a great blue heron was spotted hanging out at the site over a recent weekend. Over time, said Mr. Soler, more water will run into the river. He explained the source is runoff from storms and from the town of Ridgefield’s increase in treated runoff from its sewage treatment plant because of a new water diversion permit. Near the top of the waterfall at the site, an existing building is scheduled to house a restaurant with a deck overlooking the waterfall on the second floor and a hydroelectric turbine on the bottom floor. The turbine will generate power for lights for the building. Near the waterfall will be a bridge that will carry cars, and there will be new footbridges. The Zoning Commission has approved the amended master plan for Georgetown Land Development's redevelopment of the old Gilbert & Bennett wire mill site. The commission approved the amended plan last week. It consists of 19 single-family homes, 95 town houses and 250 lofts. Twenty new buildings are still planned, including four garages, a theater and a sewer treatment plant. Originally, the master plan called for some 32 single-family homes and 69 town houses. GLDC is hoping that the new mix of single-family homes and town houses will encourage older people to live there. For the first time in decades, a section of Norwalk River will see daylight as early as tomorrow. Work began Tuesday to remove a concrete floor at the former Gilbert and Bennett wire mill factory, which is being redeveloped into a housing and commercial complex. The concrete had covered an approximately 500 foot long section of the river. It had been built to allow the wire mill to expand its buildings about 75 years ago, said Stephen Soler, president of Georgetown Land Development Company. The concrete was being cut into slabs Tuesday and will be lifted and removed. It's estimated the work will take anywhere from 60 to 90 days to complete. Soler said the development has been delayed, but he expects infrastructure work to begin later this summer, with work on the buildings to begin in the fall. As the high-pitched whine of a 65 horsepower turbo-charged diesel saw cut through a concrete floor covering the Norwalk River, Georgetown Land Development Company president Stephen Soler said a "skittish" financial market is partially to blame for a delay in the project. "They are a little skittish right now," said Soler about the financial markets which have been badly hit by the credit crisis. He made the comments during a tour of the Georgetown site Tuesday, July 15. Originally the company wanted to issue bonds for infrastructure work on the site in May and to have the work start in June. But now he's looking at issuing the bonds next month. That could lead to renovation work on existing buildings and erecting new buildings in the fall, said Soler. He said he has no concerns about the bonds selling, but the interest rate on the bonds is a question mark. "I don't think we will have any problem selling them, the problem will be the price," he said. He said much of the delay is due simply to its complexity and working with the state on getting its approvals for various aspects of the project. Redding First Selectwoman Natalie Ketcham said the delay doesn't worry the town. "We're certainly expecting it to go ahead. They have invested a considerable amount of time and money in it to get this far," she said. Soler was equally confident about the project which seeks to build a mixed use residential and commercial development on the site of the former Gilbert & Bennett wire factory in Georgetown. The area borders Wilton's northeast corner. "We're still on track and I expect to go vertical in the fall," he said about beginning the process of erecting new homes and buildings on the site. There will not be a substantial increase in the number of children here,” said Mr. Soler. “I really don’t see a lot of children here over all. The village being built is not conducive to children. That’s the way the town wanted it.” Mr. Soler added that in the seven years of preparing this project, only five families have contacted him about housing. “You’re saying that the town attorneys and your attorneys negotiated this (age restriction) provision, and neither side looked into whether it was legal?” asked Nick Simeonidis, a finance board member. “Yes,” responded Mr. Soler. When the company’s master plan was approved by the Zoning Commission in 2004, GLDC agreed that some 40% of the residential units in the West Housing District would be owned or occupied by at least one resident older than 55 years of age. He also stated that, best case scenario, the train station parking garage could be completed by December 2009. Whether the structure would hold 300 or 600 vehicles has yet to be determined, added Mr. Soler. Mr. Soler told the finance board to expect to see property transfers on the lots beginning as early as the fall, but at least in the spring. Work completion depends on the speed at which the DEP approves the company’s work. Georgetown Land Development Company’s master plan to place age-restricted housing in the redeveloped wire mill site has hit a snag. Company officials have filed revised plans calling for the removal of the age restriction provision — which dealt exclusively with residential units to be located in the West Housing District — and a reconfiguration of the housing mix, not total number, of the residences offered. “We are looking for a master plan revision on the provision relating to age restriction,” attorney Richard Gibbons, representing GLDC, told commissioners when submitting the application last Wednesday. The Zoning Commission accepted the application and set a public hearing for Wednesday, July 23. These plans must also be submitted to the Planning and Conservation commissions for comment. In the master plan approved by the Zoning Commission in 2004, GLDC agreed that some 40% of the residential units in the West Housing District would be owned or occupied by at least one resident older than 55 years of age. “The age restriction was proposed in response to concerns raised with respect to the growing school-age population and the impacts of the resulting educational expenses to the town of Redding,” said Mr. Gibbons in his application filed last Wednesday. After this approval, Mr. Gibbons said it was discovered that the proposed age restrictions, if implemented, would violate the Federal Fair Housing Act and the Connecticut Fair Housing laws. “Attempting to comply with the master plan approval by implementing the age restrictions would subject both GLDC and the town of Redding to possible claims of age discrimination under both state and federal laws,” said Mr. Gibbons in the application. In an attempt to provide an alternative to the age restriction option, GLDC officials are proposing revising the housing mix, reducing the single-family homes by 13 and adding 23 townhouse units. “Reducing the number of (single family dwellings) and replacing those with townhouses will achieve approximately the same result as the age restriction with respect to the potential number of (school age children),” said Mr. Gibbons in his application. The Wire Mill Arts Foundation wants to hear from all actors, musicians, dancers, visual artists, arts technicians and those who just like to attend theater events. “Cast your influence and mold the design of a theater for arts in all its varied expression” on Monday, June 9, or Tuesday, June 10, beginning at 7 p.m. each night at the Mark Twain Library, 439 Redding Road, the group said in its release. As work continues on the redevelopment of the former Gilbert & Bennett wire mill site, project developers presented plans for the “transit hub” on the southern side of Route 107. The plans, which have yet to be formally submitted, call for construction of a two-story, 310-spot parking garage. The proposal would also include extensive landscaping plans. The new Georgetown train station, already approved by the state Department of Transportation, includes a 515-foot platform that could accommodate eight railroad cars, and a café-type facility. Attorney Richard Gibbons, representing GLDC, told members of the Zoning, Conservation and Planning commissions he believes that final plans may be submitted within the month. As for the redevelopment project, company president Stephen Soler said Metro-North has informed his company that work on the new railroad crossing will begin in June or July. The company also plans to issue bonds for on-site infrastructure. The new road on the property that will connect to the railroad crossing is expected to be built this fall. The Wilton Family Y will not have a satellite facility at the former Gilbert & Bennett wire mill. On Tuesday, Lisa Bogan, president of the Y’s board, and Bob McDowell, executive director, announced through a submitted letter to the editor the Y’s decision. After several years of discussion with Georgetown Land Development Co., which is redeveloping the site off Route 107, the two said the Y has been unable “to develop a fiscally responsible and timely project plan” for a facility. Stephen Soler, company president, said he is glad the Y made the announcement “before we built the building. We have spent a considerable amount of time and money to meet their needs. We wish the Y well in their future endeavors.” Mr. Soler said with the Y’s decision not to pursue a facility at the site, it will mean the height of the parking garage on the property will shrink. Originally, said Mr. Soler, his company had planned to build a 600-car garage with 250 spaces to accommodate the proposed Y facility. “Now we are looking at 350,” said Mr. Soler. This will provide sufficient space to accommodate the new train station, he added. The Y had planned to build a pool in the facility, which would have been near the new railroad station. “We had identified the Y as an appropriate entity to accommodate the request for a swimming pool in the development,” said Mr. Soler. Without the Y, he said, there are no plans for a swimming pool elsewhere on the property. Georgetown Land Development Company will be meeting with the town’s land use agencies on May 28 for a pre-application discussion on the new Georgetown Train Station. The station, already approved by the state Department of Transportation, includes a 515-foot platform that could accommodate eight cars and a café-type facility. The site would also be home to a proposed parking garage and potentially a health club. The station and otaher facilities would be located at the company’s former Gilbert & Bennett wire mill site off Route 107. The station has already been designed, said Stephen Soler, GLDC president. After the May 28 meeting, he said, the company would also meet with Wilton’s Board of Selectmen and zoning commission for a pre-application review since a portion of the platform would lie within that town’s borders. “We may have to apply there, too,” said Mr. Soler. A formal application would be submitted to Redding appropriate land use agencies most likely in June. Mr. Soler also said Metro-North has informed his company that work on the new railroad crossing will begin in June or July. The company also plans to issue bonds for on-site infrastructure. The new road on the property that will connect to the railroad crossing is expected to be built this fall. The man behind a massive redevelopment in Georgetown just outside Wilton's town line said he's confident the project will go ahead even in a real estate market downturn. "Like any market, if it's priced right it will sell," said Stephen Soler about the redevelopment at the former Gilbert & Bennett Wire Mill in Georgetown. Despite the delays and the fall in the housing market locally and nationally, Soler is confident the concept of developing a village-like housing development will attract homebuyers. He said the amenities, including having the Wilton YMCA construct a second facility there will make it convenient for people to live and work. "There's a reason why we're putting in the train, there's a reason why we invited the (Wilton) Y, there's a reason why we're encouraging people to walk," said Soler. Soler said more than 1,000 people are interested in the housing units. There are 416 housing units, comprising single-family homes, townhouses and loft-style apartments planned for the development. Of those 55 are reserved for rent as affordable housing. While most towns are arguing about budget increases, Redding's selectmen are looking at a 2008-09 municipal budget that is $447,500 less than the present year. Because it won't get some $900,000 in expected revenues from permits for development at the old Gilbert & Bennett Wire mill site in Georgetown, the town is making deep cuts in the coming fiscal year's budget. Not only that, it is looking for $350,000 in additional savings to meet expenses this year. "As we continue in the process and get closer to June 30, we have the possibility of more savings," said Larry Hutvagner, town comptroller. "We're getting to where we can cut back on fuel deliveries. Heat won't have to be on in town buildings. We're buying less motor oil at the Highway Department. It's a small savings, but every savings helps." Georgetown Land Development, which was expected to be under construction this fiscal year, had permit delays at the state level, so the town won't have its building permit fees. Steven Soler, manager of Georgetown Land Development, said Friday that he received the permits from the state in February and will start putting infrastructure at the site in the next 60 days. "The earliest Redding will see building permit revenues from us is in the fall, once roads are in here," Soler said. Town revenues are also down because people are slow in paying their current taxes, which are also below projected figures. Selectmen met March 31 and made cuts for this year and next. Hiring an officer and a records clerk for the Police Department has been put on hold until 2009, and a part-time zoning enforcement officer will not be added either. The planning process for the Gilbert & Bennett redevelopment project in Georgetown has been recognized by the Connecticut Chapter of the American Planning Association. The 2007 Community Development Award recognizes the commitment to the sustainable redevelopment of the former Gilbert & Bennett wire mill site off Route 107. Technically, Georgetown Land Development Company, the redeveloper, was cited for the award, but Stephen Soler, company president, asked that the award be presented to the town of Redding. Mr. Dean recalled how the company used a charrette-based approach in planning for the project, getting input from all of the stakeholders. “There was virtually no opposition by individuals or groups to the redevelopment,” said Mr. Dean. It was seven years ago that Steve Soler first set foot on the former Gilbert & Bennett wire mill site; this year, he will finally see building construction and light at the end of the tunnel. Mr. Soler is president of Georgetown Land Development Co., which is redeveloping the former industrial site into a pedestrian-friendly village. A mix of residential and commercial and retail uses is planned at the site, along with affordable housing for the elderly, a community theater, a health club, a Norwalk Hospital medical center, and a new railroad station. The environmental problems on the site are being remediated. Third-party developers will not have free rein at the site, Mr. Soler indicated. They must adhere to the zoning code for the property in terms of what is permitted to be built at the site, and to the design code, which specifically deals with how buildings will look. Both were approved by the town’s Zoning Commission. “The third party has to build what we designed,” he said. The third element that comes into play, said Mr. Soler, is the covenants in the land record that say how the village will operate. Norwalk Hospital President and Chief Executive Officer Geoffrey Cole could barely contain himself as he rhymed off the services the hospital is providing. But even as he recited the list of achievements and programs the hospital offers, he said hospitals have to remember they are serving individuals. "We're making a big priority over the next couple of years to significantly de-institutionalize the hospital," said Cole. The hospital is in the midst of an ambitious expansion of its services and facilities, said Cole, and is working not only at the main hospital site but is expanding its reach throughout Norwalk and in the Georgetown area in North Wilton and Redding. In Georgetown Norwalk Hospital is working on a 30,000 to 50,000 square feet building on the site of the former Gilbert & Bennett wire mill factory. The area is being redeveloped as a mixed used residential and commercial site. Construction on the first buildings is expected to begin next summer. "That's going to be important to people who live there, in Wilton, Redding, Ridgefield," said Cole, who is a Wilton resident. The Wilton Family YMCA will know by the spring whether it will go ahead with a second site at the Gilbert & Bennett wire mile, a breakfast meeting heard Thursday. Robert McDowell, the Y's executive director, said the Y's board of directors will look at financial and marketing reports at a meeting next week to chart the organization's course. He agreed with a comment from an attendee at the meeting that the softening housing market is delaying the development at the Gilbert & Bennett wire factory site in Georgetown. "That's our understanding," said McDowell. In comments after the meeting he said the YMCA has had ongoing discussions with Stephen Soler, president of Georgetown Land Development Company, and that Soler is still enthusiastic about the project. Soler said there isn't any problem with the housing market and expects to "go vertical" in the summer with construction on the site. "We are ready to go," said Soler Thursday afternoon. "All the approvals have been granted [by the state]," said Soler. The company had been waiting for those approvals, he said. The company will be working on the infrastructure in the New Year and then expect to start construction in the summer. Soler said more than 1,000 people who are interested in the housing units. There are 416 housing units, comprising single-family homes, townhouses and loft-style apartments planned for the development. Of those 55 are reserved for rent as affordable housing. Putting a 36,000 square foot YMCA in Georgetown at the Gilbert & Bennett wire mill is the best option for the organization, said McDowell. "We've looked at a half dozen buildings and that's the best site for us," said McDowell. The development's plan is to convert the site into a mixed use site with a large residential component. . McDowell said many of the Wilton Y's current membership lives in North Wilton, Redding and part of Ridgefield and building a satellite YMCA would better serve them. Membership is around the 9,600 mark, said McDowell. On-site road work is expected to begin at the former Gilbert & Bennett wire mill site off Route 107 next month following the recent state approval of the Georgetown Land Development Company’s remedial action plan. On Nov. 5, Stephen Soler, company president, said the plan’s approval means his company can now put in roads and infrastructure. The first phase of roads will include North Main Street, the new Station Place and the “front door” to the project, the intersection of Portland Avenue with Route 107. Off-site road work is not planned until spring. While the road work is in progress, said Mr. Soler, the slab over the Norwalk River would be pulled out. This is part of the process to “daylight” the river, which was covered over in places while the mill was in operation. Another slab that remains after a building’s demolition would also be removed and would be recycled on the site. Mr. Soler said the state’s environmental protection department has granted its approval to recycle and reuse this slab. His company is awaiting approval on the second slab. The company has also redesigned the new Bennett Street that is to go by the park service (Weir Farm) building, the senior housing planned at the site and the performing arts center. Bennett Street is contained within the property and will be off Portland Avenue. The Park Service’s recommended location for a new administrative facility at the former Georgetown wire mill is two miles from Weir Farm, the congressman noted. His bill “would grant the Park Service the authority to expand the Weir Farm facilities into Redding. This measure has received support from the superintendent of Weir Farm, and the Wilton and Redding local communities,” he said. On-site road work will begin at the former Gilbert & Bennett wire mill site off Route 107 next month thanks to the recent state approval of the Georgetown Land Development Co.’s Remedial Action Plan. 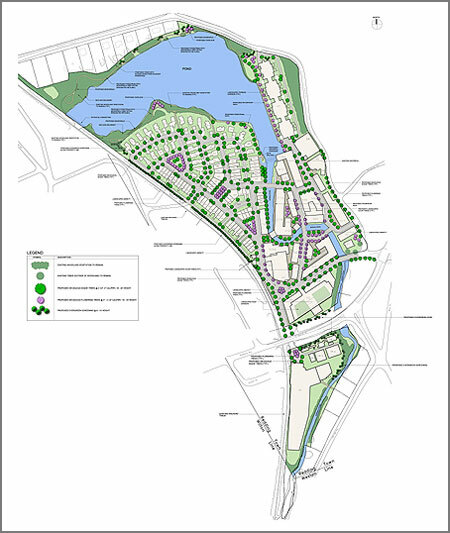 The company is developing the site into a pedestrian-friendly village of mixed uses. The project will include housing, commercial and retail spaces, restaurants, a performing arts center, a new Georgetown campus for the Wilton Family Y, a new Georgetown train station on the Danbury branch of the Metro-North line with service to Norwalk, Stamford, Greenwich, and New York City’s Grand Central Terminal, and a medical facility for Norwalk Hospital. It was notified of the remedial action plan approval on Oct. 5. Remedial action plan The state Department of Environmental Protection approved the remedial action plan for the redevelopment of the site. The approval means that work necessary to implement the approved master plan for development may begin. “This will address the remaining environmental concerns that were the result of previous manufacturing at the site,” the company said in its release. An aspect of Weir Farm’s envisioned expansion that has long worried neighbors in Ridgefield — plans for a 10,000-square-foot building housing a variety of support functions — may be moved off Old Branchville Road and out of town. Weir Farm officials say they’re looking into a variety of possible solutions, including a land swap in which they would gain a building on the old wire mill site in Georgetown, while giving up some land off Old Branchville Road in Ridgefield. An amendment to the federal legislation creating The Weir Farm National Historic Site is now being considered in Washington. It would allow the park management to consider a wider variety of options in trying to solve the problem posed by the need for support facilities — from woodworking to storage — in the residential neighborhoods surrounding the farm. Among the alternatives to be studied is the potential land swap in with the Georgetown Land Development Company, which owns the former Gilbert and Bennett Wire Mill site in Georgetown. Infrastructure work at the former Gilbert & Bennett wire mill site in Georgetown is progressing, and the expansion of the wastewater treatment plant is nearly complete. By about mid-September, said Mr. Soler, the plant will be at least at 125,000-gallons-per-day capacity (capacity is now at 75,000 gallons per day), and by the end of October, at its full capacity (of 245,000 gallons per day). Diagnostic tests will be run before the plant is turned over to Redding, said Mr. Soler, who estimated that could happen by the end of the year. A phosphorous treatment system will be installed at the plant next month, once a changeover order has been signed, said Mr. Soler. The selectmen passed a resolution Monday night that paves the way to a federal Small Cities program grant to help cover the cost of remediating the lagoon site at 15 Main Street. The lagoon is on the former Gilbert & Bennett wire mill site off Route 107. The resolution allows First Selectman Natalie Ketcham to apply for a $775,000 grant on behalf of the town. At an Aug. 9 public hearing, there were no objections to the town applying for the grant. Although the town had conducted a public hearing on the application in 2005 in compliance with the grant program, because of the lapse in time it had to conduct another public hearing. Georgetown Land Development Company is remediating the site as part of its redevelopment project, which includes the creation of a pedestrian-friendly village with mixed uses, such as residential and commercial. Plans also call for a community theater, a health club, a facility for Norwalk Hospital, a new railroad station, and a parking garage. The remedial action plan applies to the manufacturing area of the former wire mill facility north from Route 107 to the top of Factory Pond off Portland Avenue. It also includes the southern parcel, which is south of Route 107, where the Georgetown sewer plant is located. A multi-town emergency dispatch center took one step closer to reality last month thanks to a vote in the U.S. House of Representatives. The center would set up a communications system linking emergency responders in Redding, Ridgefield, Weston and Wilton. The new facility would operate at the former Gilbert & Bennett wire mill site and would combine fire and police dispatch for Redding and Weston. Wilton is also considering putting police and fire at the new facility. “We are seeking to develop an infrastructure whereby Redding, Ridgefield, Wilton and Weston would be linked through the Redding Police Department Communications Center,” Chief Fuchs said. The town must go through a “do over” on a grant application through the federal Small Cities program to help cover the cost of remediating the lagoon site at 15 Main St. The lagoon is on the former Gilbert & Bennett wire mill site off Route 107. Although the town conducted a public hearing on the application in 2005 in compliance with the grant program, it must now conduct another public hearing. The remediation plan for the site is to cap the metal-impacted soil with appropriate monitoring and institutional controls. GRC has a $200,000 federal Environmental Protection Agency grant through its Brownfields Cleanup Grant Program, in addition to a $100,000 Targeted Brownfields Assessment Grant from the EPA. The corporation also has cash it received when it took title to the property. The remainder to remediate the site and cover the grant administration fees would come from the proposed grant. The hearing is set for Thursday, Aug. 9, at town hall at 7:30 p.m.
Georgetown Land Development Co. (GLDC) officials are continuing efforts to ease health concerns related to recent demolition work at the former Gilbert & Bennett wire mill site. Company attorney Richard Gibbons told the Zoning Commission last Wednesday that state health department officials have confirmed that dust that emanated from the location during the blasting process did not pose any medical threat to nearby residences, specifically Landmark Academy, located at neighboring 20 Portland Ave.
Mr. Gibbons said GLDC acted quickly to alleviate health concerns, having state health department officials even come to the academy to speak to parents and school officials. “They even sent a letter stating that there was no health concern here,” said Mr. Gibbons. Regarding the bond, the commission has ordered GLDC provide a $500,000 bond to the town prior to the demolition work, with 50% released six months after a particular phase was complete. In its past, the Gilbert & Bennett wire factory in Georgetown provided people jobs. It gave them a life. But it also polluted the Norwalk River and belched smoke into the air. In its newest incarnation, the plant will once again be filled with people -- folks living in factory space converted into lofts and condominiums, and working in its offices, stores and restaurants. It will be green -- built with new energy-efficient technology, boasting pedestrian walkways instead of roads, tied to mass transit through the construction of a new train station on the Danbury-to-Norwalk Metro-North line. Read More. Legislation allowing developers of the abandoned Gilbert & Bennett Wire Mill in Georgetown to issue $72 million in bonds for the project unanimously passed the state legislature. The smart growth project has been lauded by officials throughout the world as a model for serving the community, the economy and the environment. Read Redding Pilot article about bonds and upcoming projects. On Monday, June 11, repair work will begin on the Factory Pond dam located at the former Gilbert & Bennett Manufacturing Company. Factory Pond, an impoundment just above the dam, will be partially lowered to allow repairs to the dam’s masonry and to the foundation walls of the buildings adjacent to the dam. The work will consist of re-pointing the mortar of the stone masonry on the face of the dam and drilling and grouting the dam to curb water seepage. The project is expected to take six weeks. The engineering firm of Tighe & Bond developed the dam repair project. The project has been approved by the Connecticut Department of Environmental Protection. Chief Burford said regional dispatch is becoming popular in many areas of the country. “It allows communities to combine their resources,” she said. “We don’t have unlimited numbers and we rely on mutual aid. This would give us the ability to know all the different resource types we need.” If a fire call went into the regional center, it would allow the immediate dispatch of mutual aid to a large fire or accident, potentially shortening the response time. “We would be enhancing our communication center through equipment upgrades that would allow the regional dispatch center to dispatch fire and/or police for the four municipalities,” The Wilton Bulletin quoted Redding Police Chief Douglas Fuchs as saying. Read More. Stephen Soler, Georgetown Land Development Company president, the redeveloper of the former manufacturing site, said his project is among 360 applications for a LEED (Leadership in Energy and Environmental Design) pilot program. If approved, he said, his project would be designated a Gold LEED development, and the designation would apply to the entire development. Read More. Norwalk Hospital became the first institutional entity to commit to taking space in a massive brownfield redevelopment site in Redding, part of a large hospital expansion at three separate sites. Norwalk Hospital is reserving at least 30,000 square feet for urgent care services, and other clinical services such as laboratory, radiology and offices for primary care physicians and specialists. Read More. A visitor to the former Gilbert & Bennett wire mill site would see significant changes in the landscape — 20 buildings have been demolished with recyclable materials stacked in piles. The waterfall once hidden by buildings is now visible, and soon the portion of the Norwalk River covered by buildings or concrete will see daylight. Read More. REDDING -- In late summer 2011, the blue and white HART bus on its regular Route 7 route may take its first spin around the bus loop in front of the new Georgetown Train Station. Train riders disembarking in Georgetown might be commuters arriving home after a hard day’s work in the city, some of them walking home from the station. Riders might also be tourists, desiring a little stroll along a pleasant walkway by the Norwalk River, lunch at a Main Street eatery, or to catch a scheduled shuttle bus to the Weir Farm National Historic Site, or an evening show at the performing arts center. These are among the future visions of the Georgetown Land Development Company (GLDC), which has left few stones unturned in its quest for cutting-edge designs for its redevelopment project and funding “opportunities” to match them. Read More. REDDING -- Town department budget requests for the next fiscal year are being driven by a number of factors — from the redevelopment of the Gilbert & Bennett site, to a mandated storm water management plan, to the cost of electricity, to a change in the paramedic intercept program. Read More. REDDING -- The piercing whistle blasts that called three shifts of workers to the Gilbert & Bennett Manufacturing Co. have been silent for decades, but the complex could soon become a model for bringing new life to hulking, deteriorating vestiges of the state's industrial past. Read More. To accommodate a new train station and the parking garage that will accompany it, the rail crossing on North Main Street will be relocated. Additional other work will be conducted at several intersections along the road including at the the junctures of both Route 7 and Route 107. The first industrial building to be demolished at the former Gilbert & Bennett wire mill site in Georgetown occurred at around 10:30 a.m. on Thursday morning. It was one of three interior buildings slated for demolition this week. All three have undergone asbestos abatement. While there are other buildings slated for demolition because they were determined unfit for renovation, many of the other historical buildings will be renovated for new uses. Georgetown Land Development Company is spearheading the redevelopment of the site, which will be converted to a pedestrian friendly village with residential, retail and commercial buildings, as well as a health club and railroad station. The Georgetown Land Development Company has announced that starting Monday, Jan. 8, North Main Street will be closed for road relocation. The work is part of the Gilbert & Bennett wire mill redevelopment project. To the naked eye, the ruins of the Gilbert & Bennett wire mill are much as Steve Soler first observed them in 2001. Broken window panes, likely the work of well-aimed rocks from teens, stretch the length of the brick mills. The factory pond, listed as a Superfund site in 1999, still glows in the setting sun. Within the next year, the green building community nationwide will know about Georgetown (Redding) Connecticut, if they don’t already. Green buildings will dominate the old Gilbert & Bennett Wire Mill and create a strong sustainable community with a very hip town center. The project is being done by Georgetown Land Development Company (GLDC), a socially conscious real estate development firm in Georgetown. GLDC President Stephen Soler took some time to meet with us and discuss the project. Read More. June 22, 2006: Regional 911 service? Georgetown Land Development Company’s plans for the former Gilbert & Bennett wire mill site were approved, with conditions, by the Zoning Commission last week. The Zoning Commission gave its blessing to the largest project in the town’s history, one that calls for the redevelopment of the 55-acre parcel at an estimated cost of more than $22 million. REDDING — Construction of new upscale homes in Redding skyrocketed this year, boosting the town's Grand List 4 percent, to $1.51 billion. Although the municipal and schools budget for 2006-07 is up 8 percent, Redding officials say there will be no increase in the mill rate, now 22.74. The Gilbert & Bennett wire mill redevelopment is a model for complex reuse projects. The strong public-private partnership invited community input in the design process, facilitated the remediation plan, and expedited adoption of the master plan. ITR Industries Inc., headquartered in Long Island, N.Y., will open a steel bathroom partition plant in Toccoa, Ga., this year bringing 60-plus jobs to the local market, said Mitch Griggs, with the Stephens County Development Authority. The company is buying the former Gilbert and Bennett building on GA 145 and will spend $5 million to renovate the facility. The plant could employ up 100 people as the market grows, Mr. Griggs said. The Toccoa, GA location is where G&B relocated operations to in 1989.